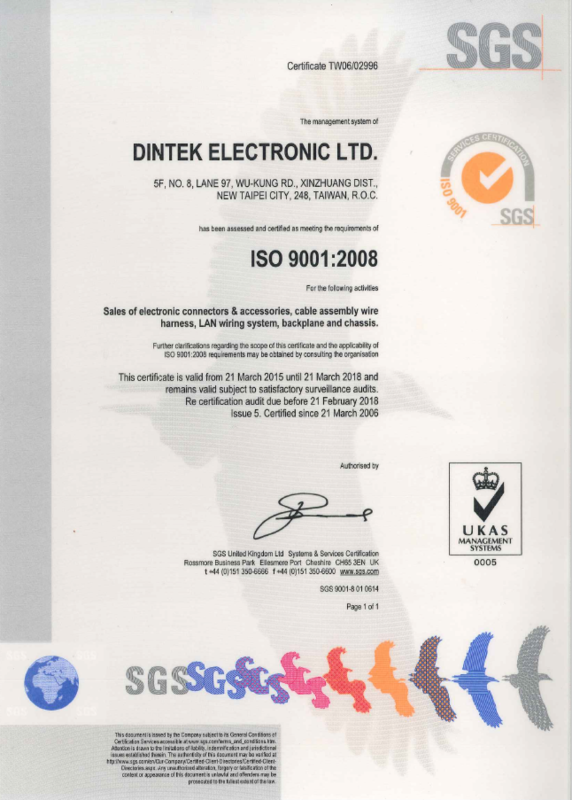 DINTEK Electronic Ltd is a leading manufacturer of LAN cabling systems and tools. 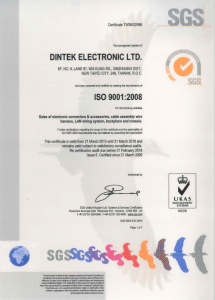 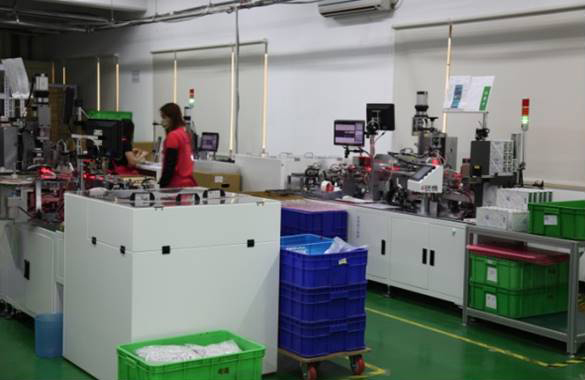 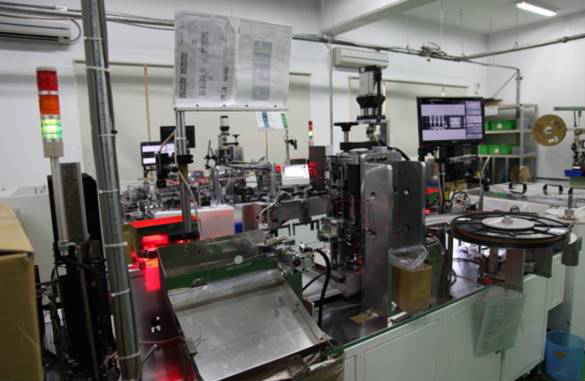 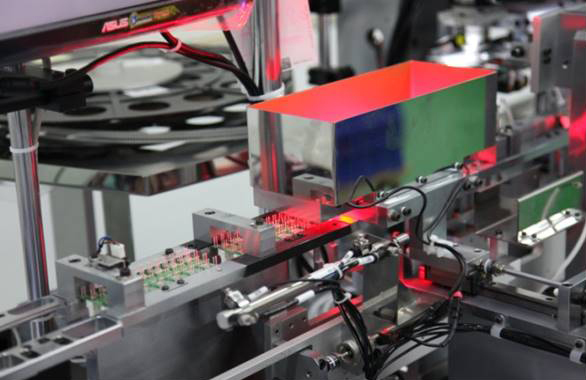 Founded in 1990, DINTEK is headquartered in Taiwan and has a subsidiary in Switzerland covering the European market. 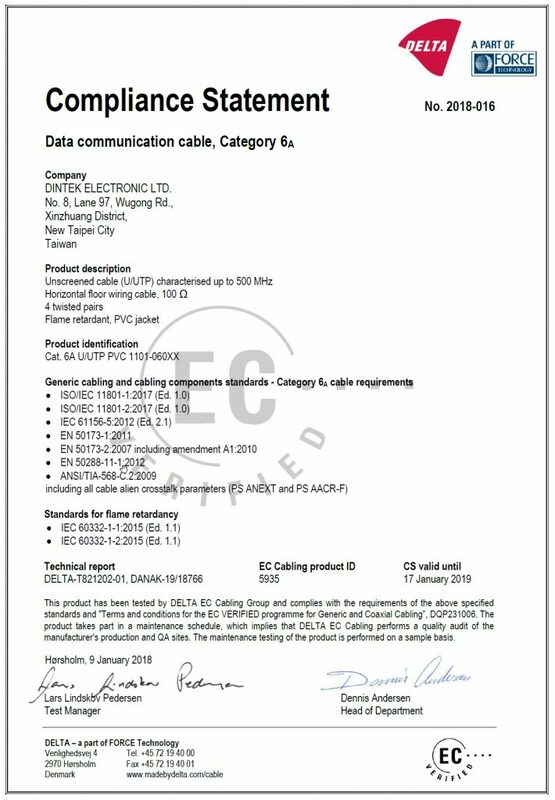 DINTEK offers structured LAN cabling systems for Cat.5e, Cat.6, Cat.6A, Cat.7 and Optic Fibre. 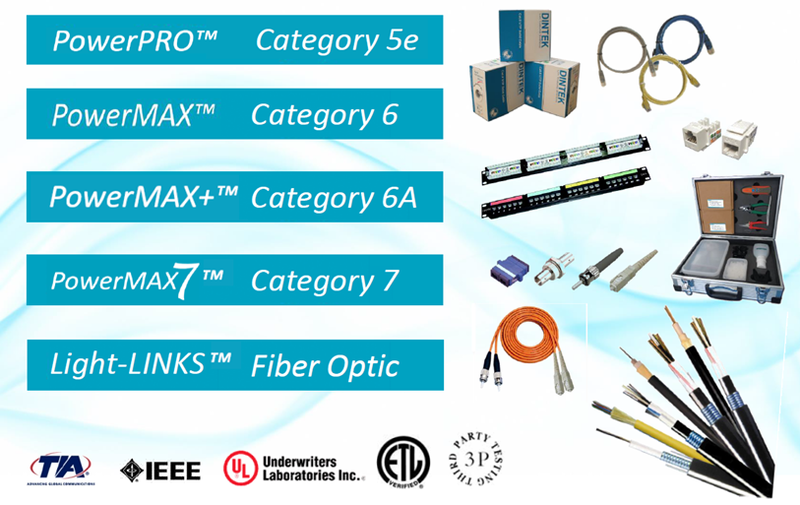 For each of these categories, DINTEK supplies the cables, component, eg patch panel, patch cord, jack, plug, wall plates, etc, as well as tools and kits. 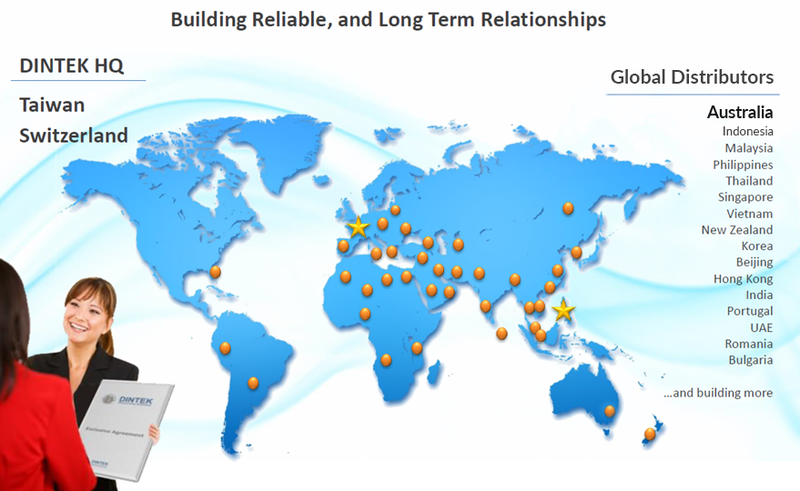 For the benefit of large and small projects, DINTEK has designed a DCI – DINTEK Certified Installer training course. 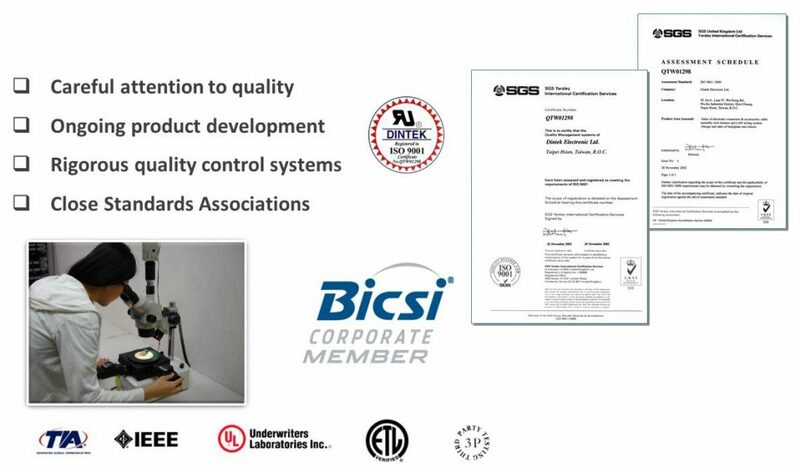 For projects connected using mainly DINTEK products and are installed by DINTEK certified installers, DINTEK provides a 25-year warranty, for their products to be free from defects (conditions applied). 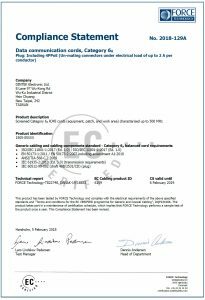 In 2017, DINTEK’s termination kit TECHBENCH has won the Cabling Innovators Awards run by the Cabling & Maintenance Magazine in conjunction with the BICSI Vegas conference. 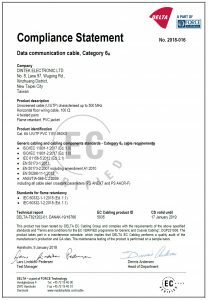 TECHBENCH allows the installers to work in confined spaces in front or back of telecommunications racks and ensures the terminations are carried out easily and effortlessly. 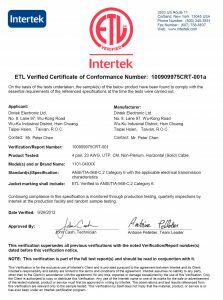 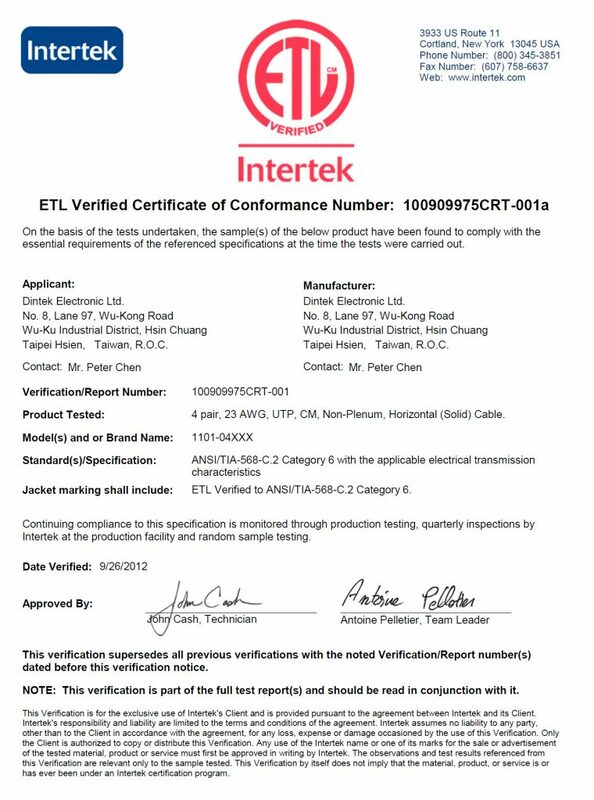 While DINTEK structured cabling products conform to international standards, we wanted to ensure that they were also compliant with Australian regulations so we commissioned compliance tests from AUSTEST in December 2017. 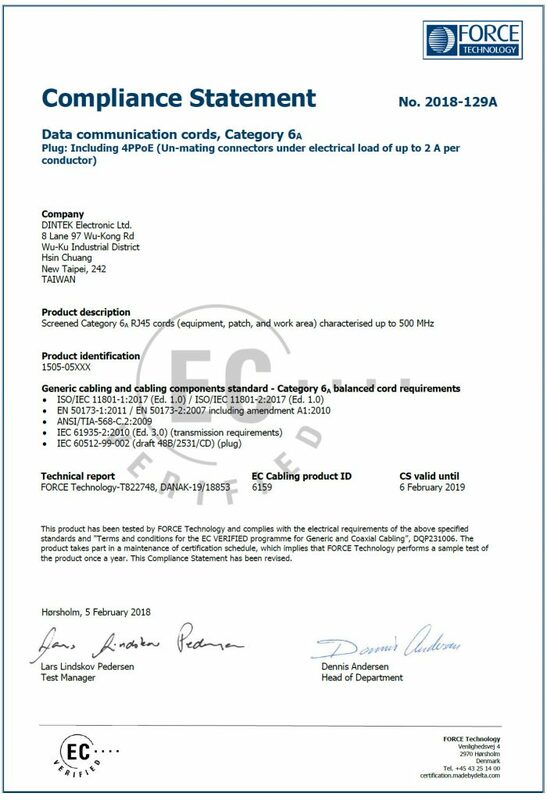 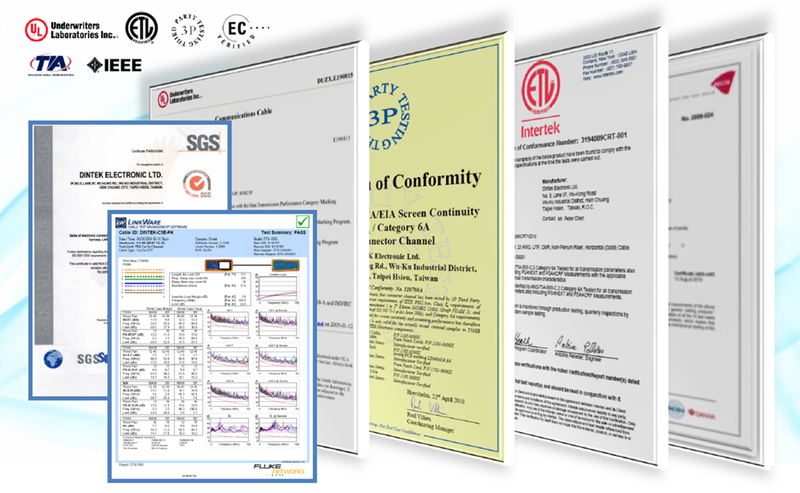 The lab results are now in and DINTEK is proud to announce that our Cat.6 products passed with flying colours.